Released in July 2010, BlackBerry Bold 9650 is a high quality phone that stands among the best available at the time of its release. If you deal with all kinds of software problems that contribute to the feeling of a sluggish device, it`s time to do a factory reset. If you decide it`s time to make the plunge and perform the soft reset, keep reading and you`ll learn a few methods to bring your BlackBerry Bold 9650 back to factory settings. But first of all, please remember that a hard reset will erase all data stored in your phone including customized settings so doing a backup of your data on your SD Card or other external device is essential. Now you can go on and follow the methods below. The Blackberry Bold features a 3.15 MP camera, 515 MB internal memory and Wi-Fi connectivity. 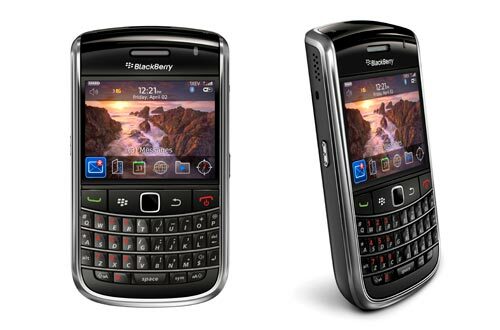 As for the design, the main difference between the Bold and its predecessor, Blackberry Tour is the optical trackball. It has a quick responsive keyboard and soft-touch which makes the user experience better and more confortable. As we mentioned before, a hard reset will result in the erase of all data including system data, downloaded applications, email accounts, Media and any other information stored on the internal memory. So before proceeding with the hard reset ensure that you backed up all your important information. Firstly, access the home screen and then scroll to the All tray and press the trackpad. Next, press Options and from the menu appeared choose Security. Scroll, and when you found the Security Wipe option, press the trackpad. Now, scroll and select the appropriate options and press the trackpad to check or uncheck depending on what you want. Enter „blackberry” in the text field to confirm the wipe. Finally, scroll and select by pressing the trackpad Wipe Data. The device will now completely reset and restart.